It has been 15 days since I arrived at Tiny House Ontario. The forest changes so much every single day; I can’t capture it’s move from brown to green. A slow motion camera would be fantastic – or even a shot of photos taken three times a day, every day would have been great too. Next year, perhaps I will remember to do this? Now the canopy covers me and Tiny House Ontario disappears into deep forest. 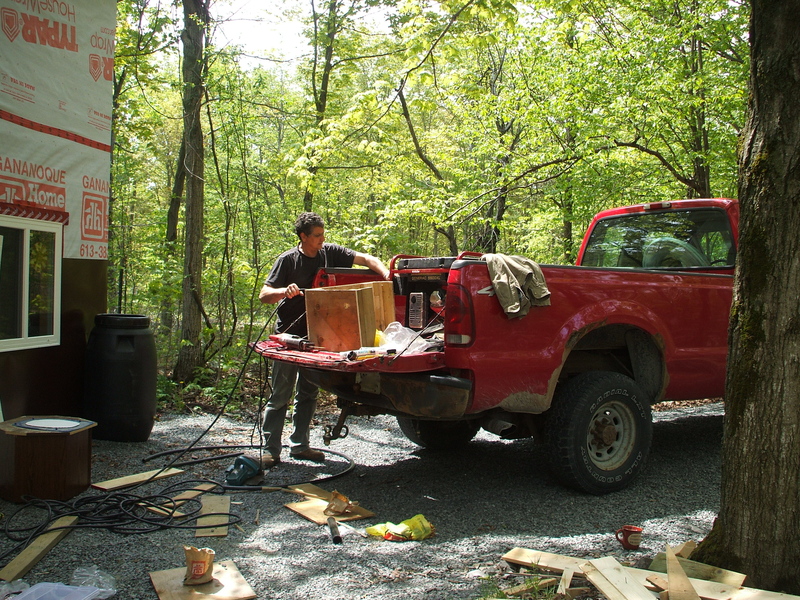 Here is Leo packing up after the build a few days ago… see how green? These days, the trees are so dense that the dogs hear people arriving before I can see them coming down the half kilometre lane. Still, they keep me aware of what is going on. 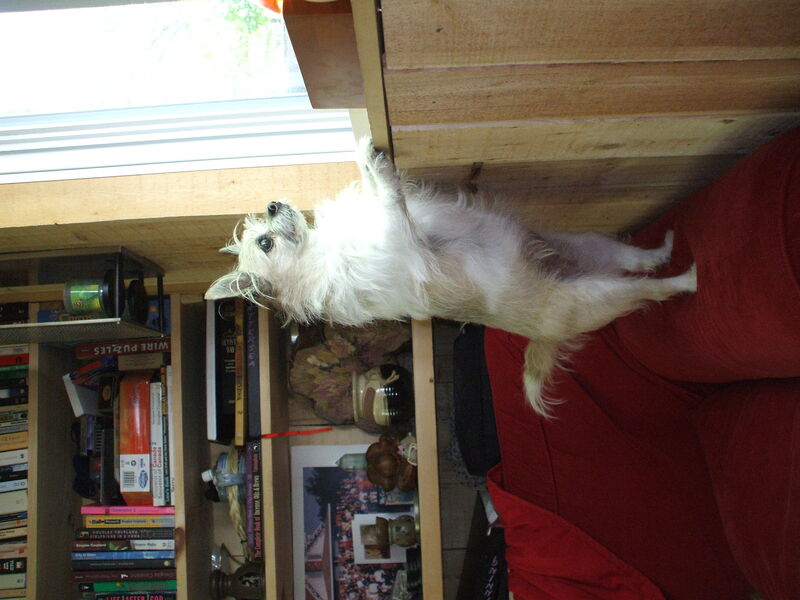 This is Minnie standing guard. 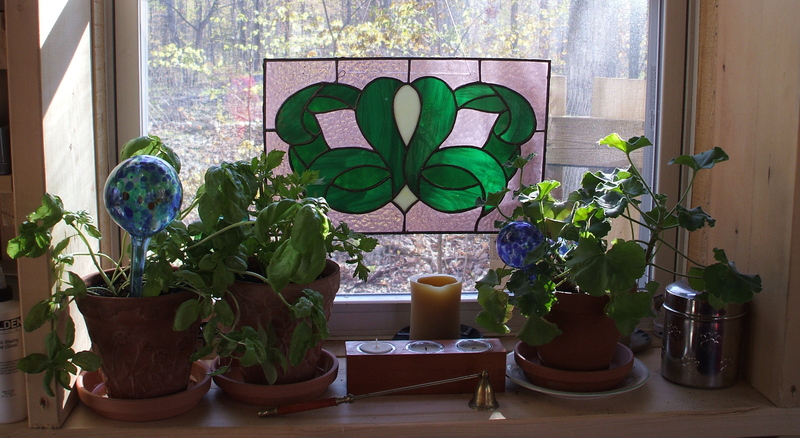 It is so warm now that these plants that I initially had in my window are moved outside. 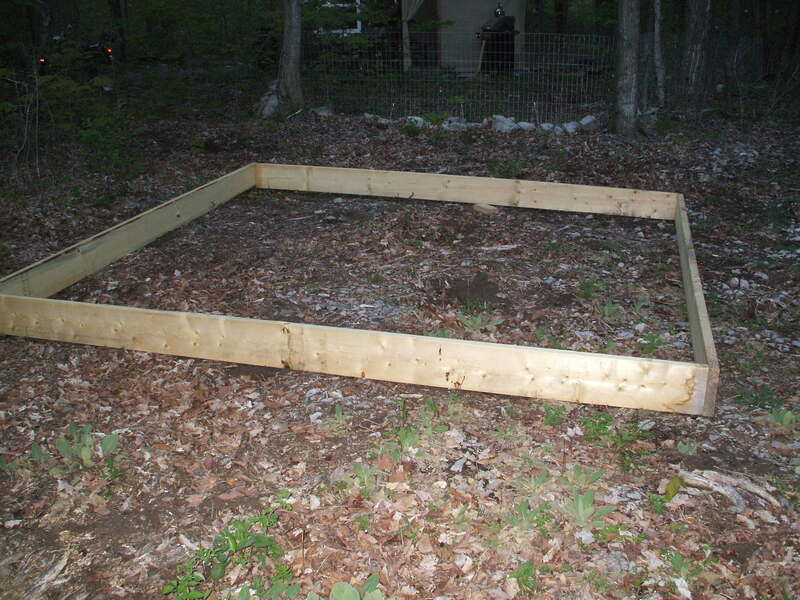 I start the little 10×10 raised garden too. At dusk… another day until the soil arrives to the rock.